.. Windows 2000 (SP3), XP and VISTA . Requires 300Mb of disk space and at least Internet Explorer 5. .. Direct3D v9 or higher. MAC users can run Autograph directly on an Intel-processor based MAC either directly in Microsoft Windows running under 'Boot Camp', or in Windows via PC emulation through 'Parallels Desktop'. 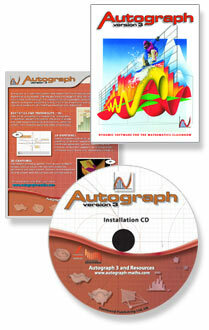 Users of older pre-Intel Macs can run Autograph's Statistics and 2D pages (but not 3D pages) under the 'Virtual PC' Application.